Jurgen Klopp admits there is a chance Joe Gomez could undergo surgery as he struggles to make progress in his recovery from a fractured leg. The defender has been sidelined since being stretchered off in Liverpool’s 3-1 win away to Burnley on December 5 following a strong challenge from Ben Mee. 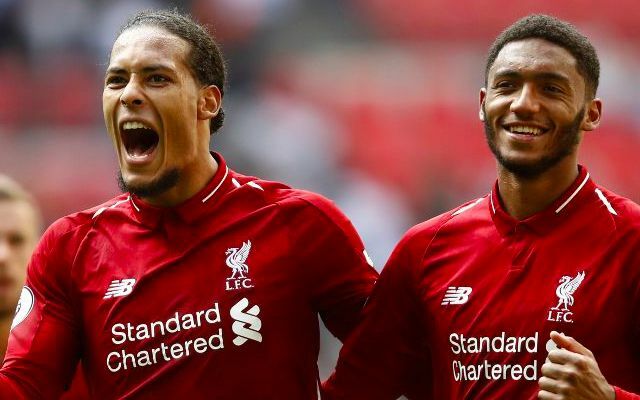 It marked a cruel disruption to his outstanding individual start to the season, across which he had cemented his place as Klopp’s first choice partner for Virgil van Dijk at centre-back. Gomez had been expected to return to training during the Reds’ recent warm-weather training in Dubai, but could now face a further month out of action. Gomez is set to miss a string of key fixtures throughout February, including Liverpool’s Champions League Round of 16 first leg against Bayern Munich. Klopp will also be without Van Dijk in that game as he serves a suspension following his yellow card in December’s decisive group stage win at home to Napoli. With Trent Alexander-Arnold meanwhile nursing a knee issue, the Premier League leaders must again prepare for Monday’s clash with West Ham without a recognised right-back at their disposal. Such was the case in Wednesday’s 1-1 draw with Leicester, with skipper Jordan Henderson taking on the defensive responsibility in the absence of the suspended James Milner. The 33-year-old now looks likely to step back into the role at the London Stadium having already featured there against Bournemouth, Wolves and Crystal Palace so far this season.